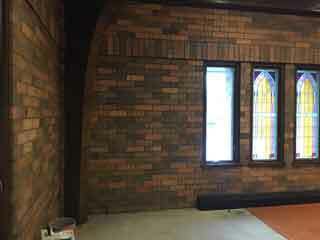 Belfor Restoration is making great progress restoring our church. The arch beam repair was completed 3 weeks ago. 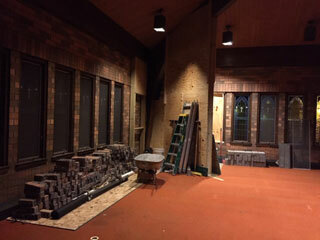 With the more moderate winter temperatures last week, the inner wall brick was laid. 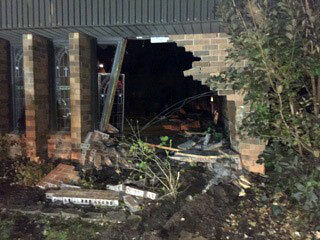 The outer wall brick is being installed this week. The next major work to be completed will be removing pews and setting to one side of the church to enable carpet removal and floor covering replacement. 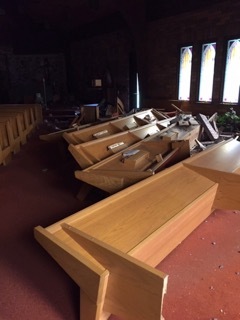 New pews to replace those damaged in the accident are being manufactured by the original manufacturer of our pews. 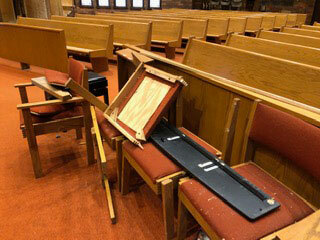 The pew kneeler coverings and chair coverings will be replaced with covers that complement the floor covering colors. The pew manufacturer will complete this work. 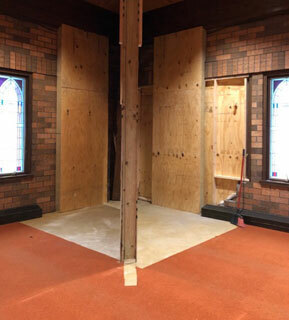 We have pursued upgrading the floor covering in the church to include hardwood in the sanctuary, carpet in the aisles and walkways and tile under the pews. This proposal cost 3-4 times that of installing carpet throughout and we have rejected it. We are now investigating less expensive alternatives. The church ceiling lighting is in the process of being upgraded. We are reworking the existing light fixtures with new components to increase light intensity and eliminate the possibility of light fixture loosening when changing bulbs, which existed previously. 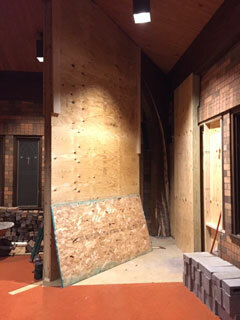 Last week members of the renovation committee participated in the rebuild activity. All 54 lights have been rebuilt less installation of new LED bulbs and a light diffuser lenses for each pendant light. 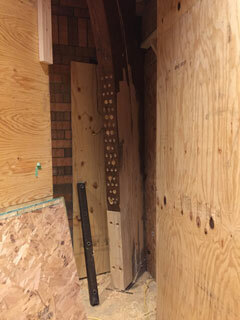 When these components arrive, the remaining installation can be completed in 2-3 days. Last week's work was completed by Roberto Alleruzzo, Terry Bender, Willie Dukes, Mark Helderman, Randy Jaminet, Mark Johnson, and Ron McDermott. Ron lead the redesign and parts procurement for this project and organized the rebuild activities. We are indebted to this team for there efforts that effectively reduced the cost of the light upgrade by half. Conference Technology Incorporated, (CTI) is a audio design and component distributor in Davenport. They have completed an inspection of the church and church hall speaker system. They have provided a proposal to balance sound volume of the four speakers in the church and repair the speakers and wiring in the church hall as well as installing an amplifier to drive the hall speakers. This work is expected to begin when the church restoration is complete. Tuesday – Hope Creek Care Center, 10:30 A.M.
You are the Body of Christ. Every one of you is a member of it.